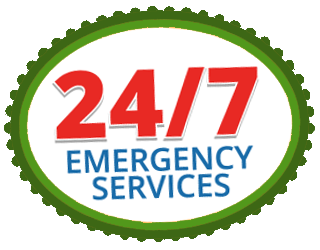 If you have had a flood in your home due to weather or plumbing problems from your house, you might think that you can handle the water damage cleanup process all on your own. However, there are some pretty important reasons why a professional should take over the job. Here are some reasons to put down the towels and pick up your phone to call Premier Construction in Anderson County, South Carolina. Unless you are a restoration professional yourself, it is likely that a professional water damage cleanup company has better equipment to get your place back to its original state. Restoration companies have water vacuums that can pump standing water out of your home. This is an invaluable tool in the event of a flood. They also have all the carpet cleaning tools and essentials that you would need. And if anything needs to be reinstalled or replaced, they have the tools for that as well. Buying or renting the same tools could end up being close to the cost of having a professional just do it themselves. You could be the most OCD person alive, but you still might not be as thorough as a water damage cleanup professional. These people work on restoration projects every day and they know exactly what to look for and what some potential bumps in the road could be. Water damage is especially difficult to handle if you aren’t a professional because you can’t always see where the water is hiding. Restoration companies can see where moisture is trapped with thermal imaging and make sure that they leave no stone unturned. They will be able to dry moisture out of drywall and subflooring where you may not see it and it could end up developing into mold. Sometimes the water that you are attempting to clean up could be toxic and it is best to have a professional take care of it. There are different categories of water. There is clean water, grey water, and black water. You want to stay away from grey and black water because these have chemical and/or biological contaminants in it that could be toxic and harmful to your body. If the source of your water damage is from anything but a leak from one of your tap pipes, you want to stay away from it. Flood water and sewer water are especially dangerous and should not be handled unless you know how to deal with it safely. 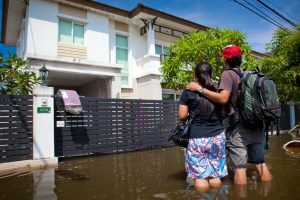 In fact, if you have any kind of gray or black water damage in your home, it is best for you to evacuate until the restoration team is done with your project, especially if you have anyone who may be immunocompromised like a newborn or seniors. Water damage cleanup is a serious process and it should be done correctly for everyone’s safety. You may be a completely competent cleaner, but you cannot beat the tools, thoroughness, and safety of a water damage cleanup company. © Premier Construction & Restoration. All rights reserved.